Leeds-based company Unlimited Theatre is unveiling Uneditions a new way of publishing and reading plays as an immersive, digital reading experience which mirrors the tone of the live production. Uneditions creates digital playscripts for mobile and tablet devices that include the experiential, tactile elements of live performance – such as lighting, sound and atmosphere – alongside a bold new approach to text layout to create a rich theatrical reading experience. Uneditions has been developed in partnership with technology partner Storythings, researchers from the Product Design Research Studio, University of Dundee and has importantly been co-designed with a group of twenty participants in Leeds. These partners have worked together through an innovative user-centred co-design process, as one of the first research projects supported by NESTA’s Digital R&D Fund for the Arts. 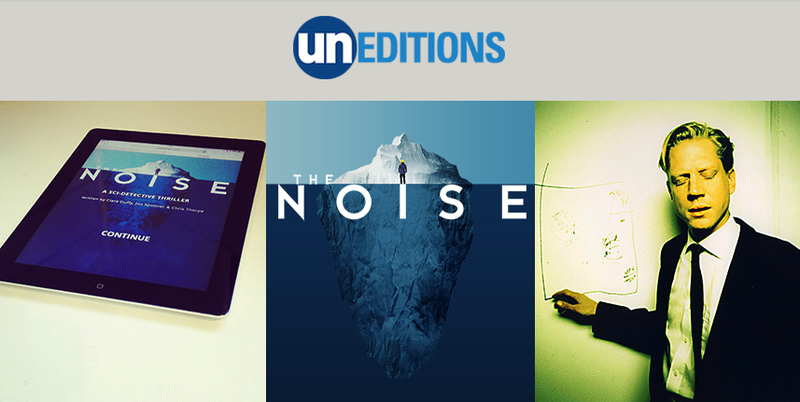 The prototype project is built around Unlimited’s recent release The Noise, and is available, free of charge, for tablet devices and web-browsers at http://uneditions.com/the-noise/. The Noise is a sci-conspiracy thriller about sound’s impact on humans, and was co-produced with Northern Stage, Newcastle in October 2013. It features original music by Minotaur Shock and sound design by Pete Malkin and Gareth Fry (who was sound designer for the Opening Ceremony of the London 2012 Olympic Games). Over the coming months, a number of other plays will be published using the new digital format, including texts from some of the country’s leading contemporary theatre companies such as the RSC and Third Angel. These plays, along with The Noise, will be available until November 2014 free of charge. Alongside the releases, Unlimited and Storythings will continue to develop the digital publishing platform they have built to create The Noise and the other Uneditions playscripts. 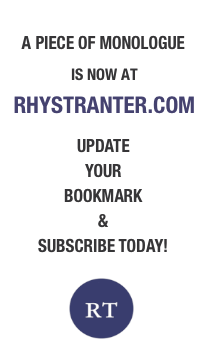 This platform will be made available in late 2014, enabling playwrights and theatre companies to self-publish their own digital playscripts and distribute them through an online library of digital plays at http://uneditions.com. The research project originally set out to test how emerging behaviours around mobile reading devices and technologies can support the performing arts sector to create new forms of digital storytelling that blend written word with elements of live performance. The resulting prototype rethinks the traditional script as a new immersive reading experience using light, sound, atmosphere and interactive elements. It enables audiences of the theatre show to deepen their experience of the work and also allows audiences who cannot see a performance of the play to get closer to the live production than reading a traditional playscript would allow. The Community Lab of twenty participants – which included theatre-goers, reading group members, technology fans, students and publishers – took part in a series of co-design workshops held at West Yorkshire Playhouse, Leeds across Summer 2013. The workshops involved an iterative co-design process, with the participants providing invaluable insights around their reading behaviours and digital preferences, and then testing and feeding back on each stage of the prototype, meaning that the final prototype truly reflects the needs and desires of its potential users. "The stunning richness of this digital playscript has come about directly through a partnership with our community lab. Without their involvement, I have no doubt that the prototype we are launching would have been a very different offering to the one you can experience today. As researchers, this points to a new direction in how research, innovation and community engagement can come together to enhance our cultural digital economy." For more information, to view the digital prototype and for comment from the team please contact Laura Creyke at TLP Collective on laura@theliteraryplatform.com / 07951 777 407.